Aerial archaeology J. Dassie. Navigation GPS. Air prospection implies, at the time of discovery of indices favorable to the existence of an archeological site, that photographs are taken. To facilitate later identification of it, one records with a tape recorder the exact references for images " film number xxxxxx, view 24 to 28 ", as well as precise elements of localization. " 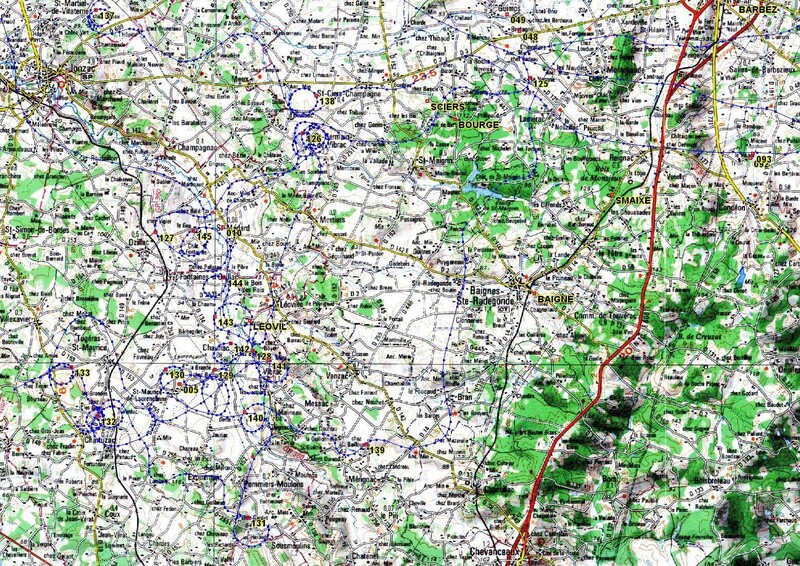 3 or 4 km south of Niort " are not enough. 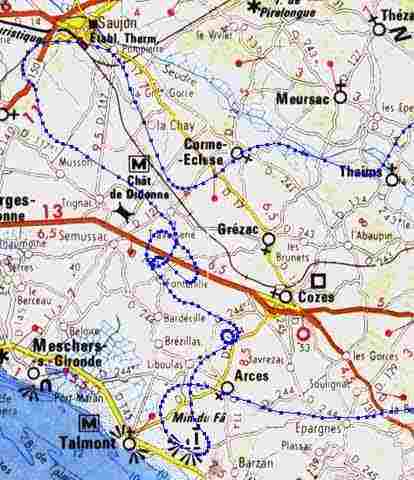 We can admit " Map IGN number 1432, crossing of D 129 and D 730, towards the km Lambert 355 and 2066. But for that, you should know where you are! Experts will understand me. An air prospection is seldom done in straight line, while following a definite plan (except perhaps at the time of study of ancient ways). Generally, it is the nature of ground, cultures and vegetation that will control: one always seeks the maximum zones of visibility of indices. Thus, left to explore the hydrographic network and valleys of such river, you find yourself " plowing " large opened plains, " champagnes ", quite simply " because it is good. But already one or more hours ago passed since the departure and the prospector did not follow his evolutions with all the desirable attention: he is lost! But things always do not occur like that, and as a modern prospector, you regularly use the help of a GPS. You have it installed on board before each departure on a mission. Then it will be so much simpler, for the localization part of the message tape recorder, to press on the key " Autostore " of the GPS at the time of passage on the site and to announce " Point 324 ". Back to office, the GPS will restore the geographical co-ordinates of the site, on simple call of its number. Cartographical restitution of aerial trajectory by GPS and computer, 1/200000e map. Concerning the Lambert co-ordinates, a conversion program of geographical co-ordinates into Lambert (France only), from A. Elinik., can also be used.